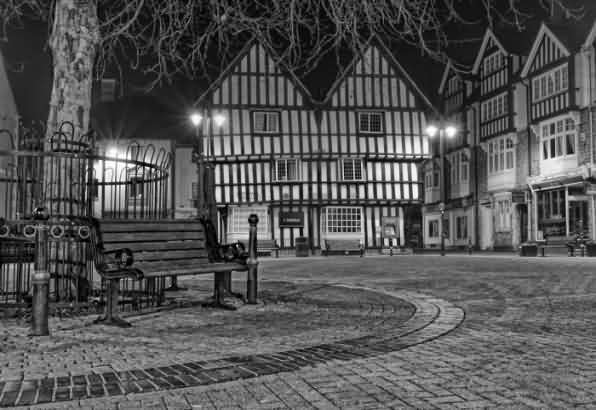 The old riverside market town of Evesham is situated in the centre of the famous horticultural Vale of Evesham - the fruit and vegetable basket of England. 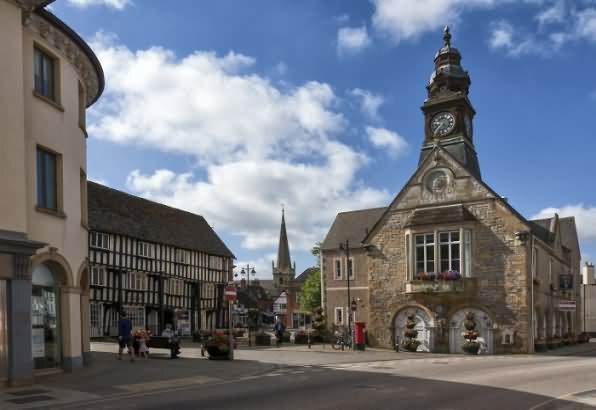 From the tranquil banks of the river Avon to the undulating hills and peaceful wooded slopes of the Cotswolds, the Vale offers some of the prettiest countryside in the United Kingdom. 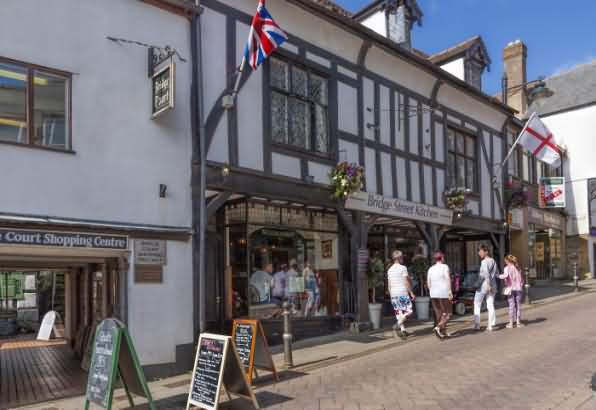 The region well known for its fruit and vegetable growing (especially asparagus) since medieval times, can be enjoyed seasonally throughout the year. In Spring there are dazzling displays of blossom from the many acres of plum and apple trees giving great swathes of colour. 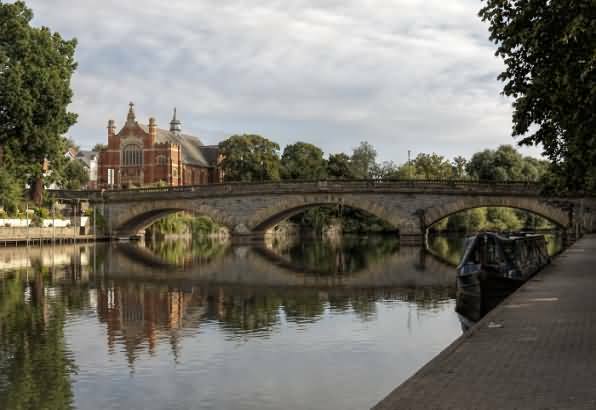 A major attraction is the River Avon, with very popular recreational areas offering something for everyone from fishing to walking to boating. 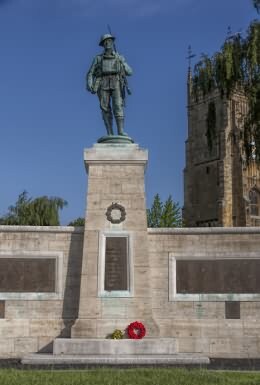 Abbey Park with its Victorian bandstand offers you music on Sunday afternoons from June to September, where you can sit back and soak in the tranquil atmosphere of a lazy sunny afternoon. 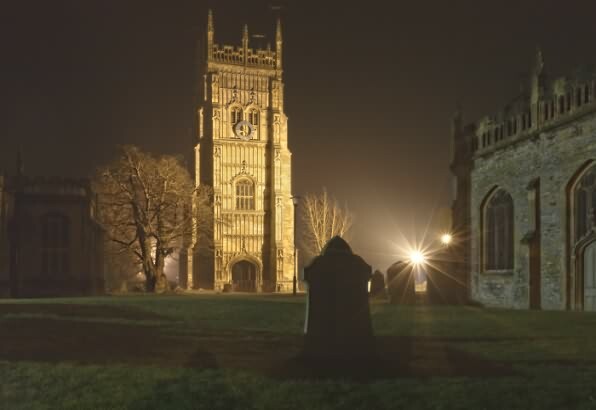 Find out about the town's traditional roots by visiting the Bell Tower, the only major remaining building of the once great abbey, knocked down after Henry VIII closed the monasteries in 1540. 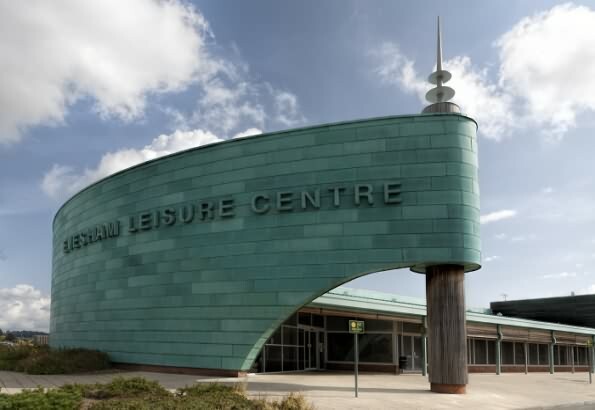 No visit is complete without a visit to The Heritage Centre at The Almonry. 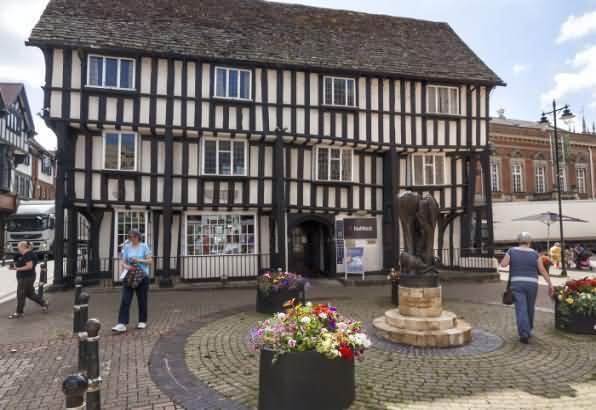 This 14th century building, once the home of the Abbey's Almoner, houses a wealth of information and artefacts, documenting such important happenings as the history of the great Abbey and the defeat of Baron Simon de Montfort at the Battle of Evesham in 1265. 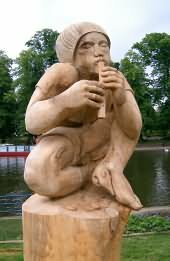 See the Pennywhistle sculpture by Tom Harvey by the riverside in Abbey Gardens. 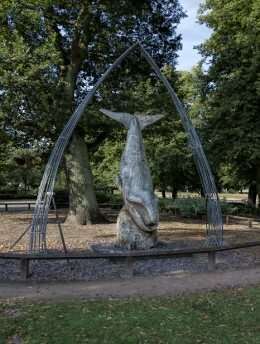 The piece was commissioned to commemorate the start of the 2007 Evesham music festival and was carved out by using a chainsaw from a cedar log. A French nobleman who inherited the title and estates of the earldom of Leicester in England. He led the rebellion against King Henry III of England during the Second Barons' War of 1263–4, and subsequently became de facto ruler of England. During his rule, de Montfort called two famous parliaments. The first stripped the king of unlimited authority, the second included ordinary citizens from the towns. For this reason, Montfort is regarded today as one of the originators of modern parliamentary democracy. 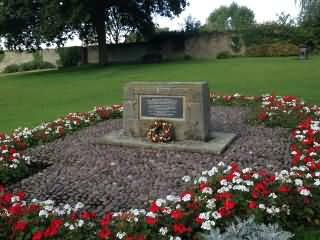 After a rule of just over a year, Montfort was killed by forces loyal to the king in the Battle of Evesham. A relief of Simon de Montfort adorns the wall of the Chamber of the United States House of Representatives. Napoleon Bonaparte described Simon de Montfort as "one of the greatest Englishmen". 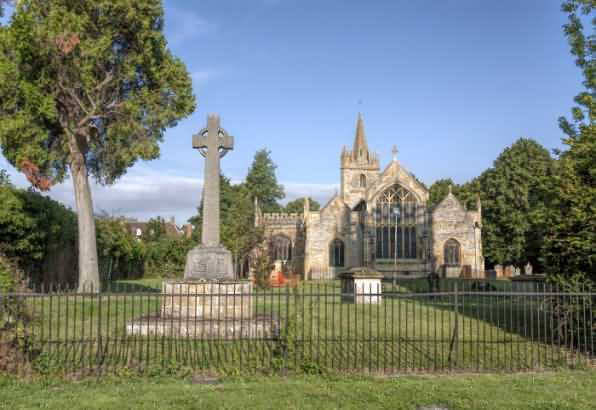 Simon de Montfort was buried under the alter of Evesham Abbey which was subsequently destoyed by King Henry VIII with the Dissolution of the Monasteries in the sixteenth century. Only the magnificent Abbey Bell Tower remains. 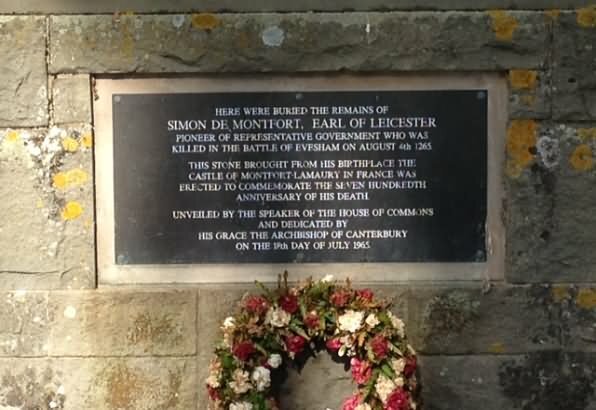 In 1965 a memorial of stone from Montfort-l'Amaury in France was laid on the site of the former altar in Evesham Abbey Park Gardens by Speaker of the House of Commons Sir Harry Hylton-Foster and Archbishop of Canterbury, Michael Ramsey. City of Worcester - 25 minutes driving time, Worcester Cathedral, Royal Worcester Pottery factory. City of Cheltenham - 25 minutes driving time. Cotswolds village of Broadway - 10 minutes driving time. Cotswolds village of Chipping Campden - 20 minutes driving time. 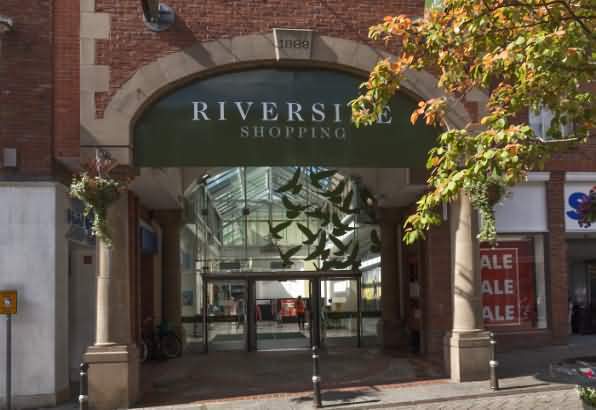 Riverside Market Town of Pershore - 12 minutes driving time. 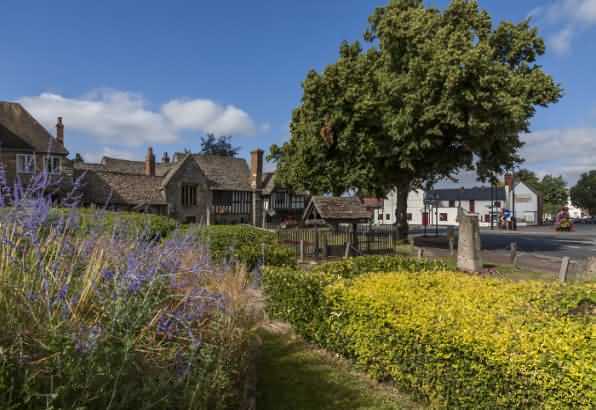 There are several Cotswold famous gardens within 20 minutes car journey of Evesham including Hidcote Manor, Snowshill Manor, Bourton House, Sezincote, Kiftsgate Court and Batsford Arboretum. See - Cotswold Gardens and North Cotswold Gardens Map and Driving Directions. The beautiful Vale of Evesham is one of the most fertile areas for fruit-growing in the country, and every spring thousands of blossoming fruit trees transform the landscape into a riot of colour. The Blossom Trail covers 40 miles of some of the prettiest countryside in Worcestershire. Best in bloom: Depending on the weather, the flowering season usually lasts from late March to early May. It begins with plums and damsons, followed a couple of weeks later by pears and then apples. And there's more: For the energetic, there's also a Blossom bike-trail. Evesham railway station is the suggested starting point. When to Go : April and early May. How do I get there by train? 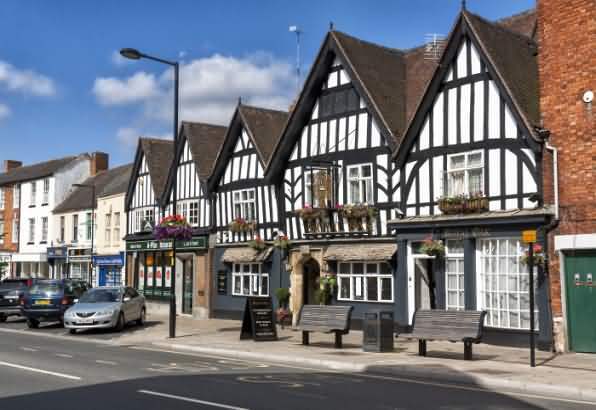 London Paddington to Evesham Station or Moreton-in-Marsh Station if staying in Broadway. 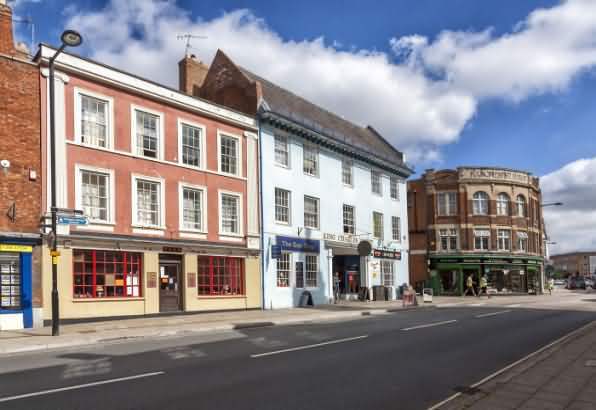 Places to Stay - Accommodation at Evesham and Broadway (Broadway is 5 miles from Evesham). 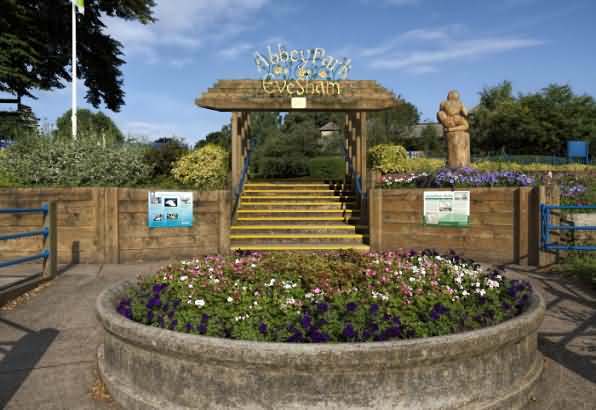 In July each year, Evesham hosts a spectacular weekend - The River Festival - where boats moor alongside Workman Gardens for an illuminated boat festival with fireworks. 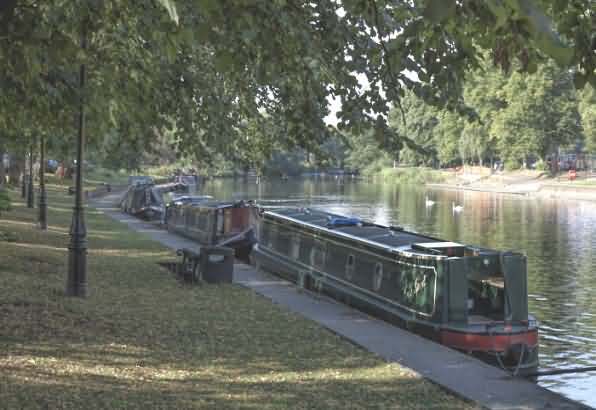 The Evesham suburb of Hampton (0.5 miles south-west of the town centre) has a foot ferry that has existed for nine centuries. 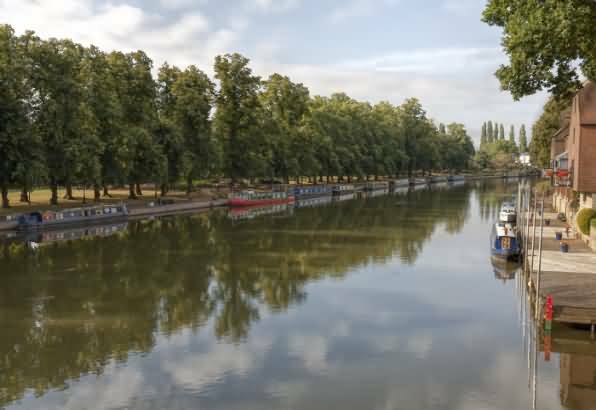 The Hampton Ferry is a pedestrian chain ferry linking Evesham and the district of Hampton across the River Avon. 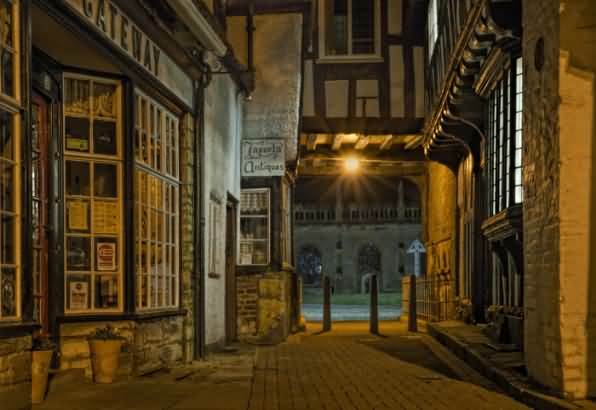 The route dates back to the 13th century, when it was established by monks. The ferry is manually operated by pulling on a cable that is suspended across the river. When the ferry is docked at either bank the cable is allowed to sink to the river bottom, so as not to interfere with other river boats navigation.